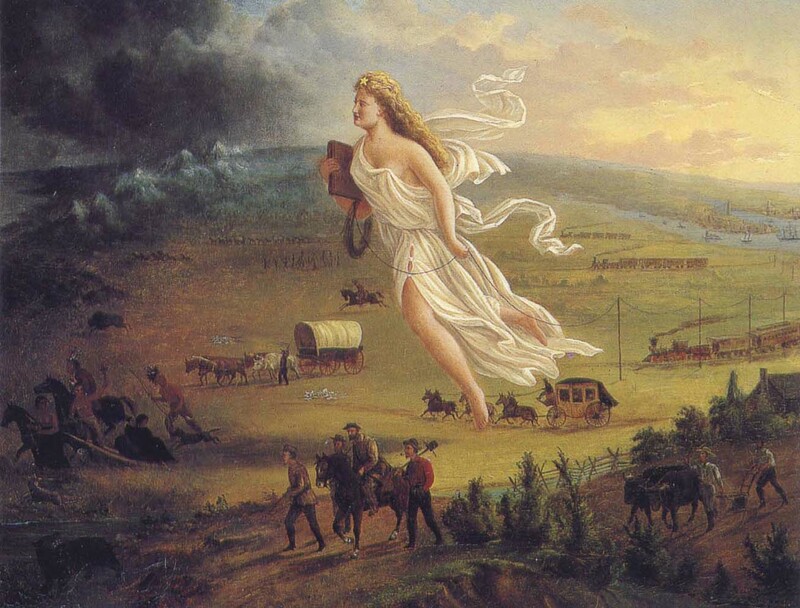 In 1845 John Louis O’ Sullivan in his essay Annexation advocated it was Divine Providence for the United States to embrace its “manifest destiny” to spread the American system across the continent. Little did Mr. Sullivan realize that his “manifest destiny” would become the manifesto of an expanding nation and would place it in direct conflict with the Native Americans living in the vast majesty of the American continent. 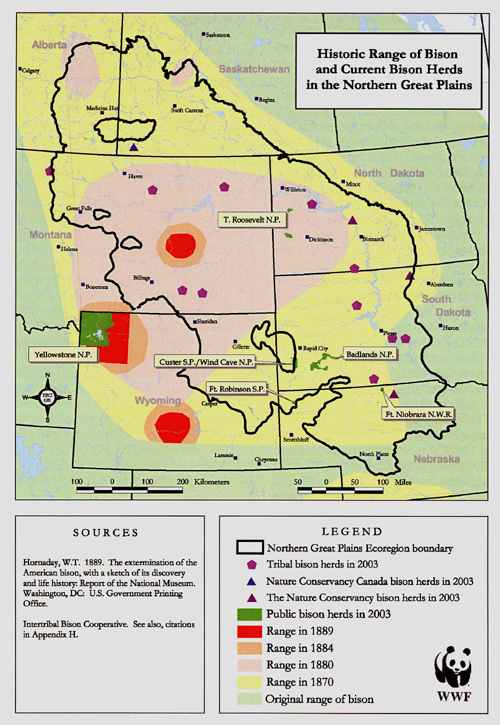 What would follow in the decades to come would see the senseless slaughter of the mighty bison herds of the plains. It was the bison which had a symbiotic relationship with the Native Americans and the land. The two existed to nourish each other as the Great Spirit had decreed so long ago. In addition to train cars of sport hunters and buffalo hunters, the cavalry would become the instrument of manifest destiny. Treaty after treaty were signed and broken by the white expansion. The Native Americans suffered and died like their friends the buffalo, their brother of the land. 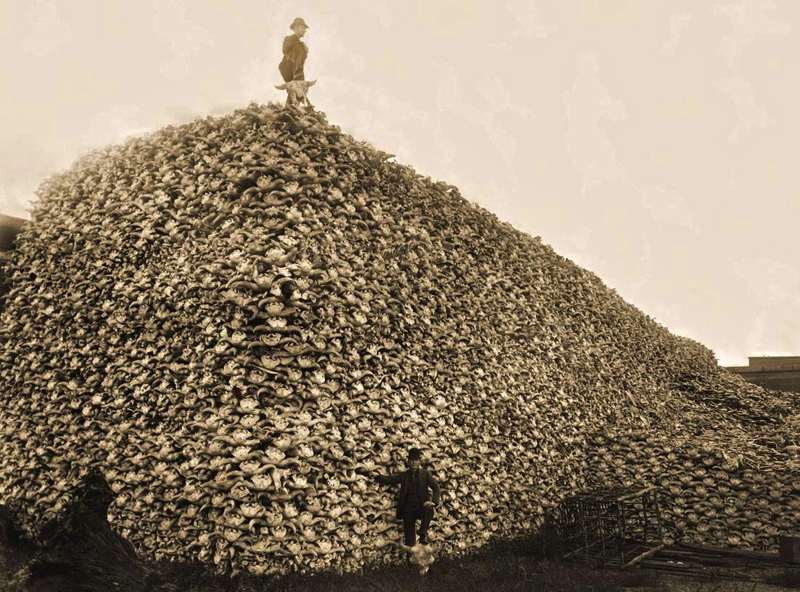 It is estimated that a million buffalo were killed per year in the 1870s and 80s. Many were left on the blood soaked fields to rot since the whole purpose of the game hunters were to kill the magnificent animals without regard to the consequences. By 1900 there were fewer than 1000 bison left on the plains. Many Native Americans, especially the children, must have asked the probing question, “why do our white brothers kill our brother the buffalo for sport? Why are our plains blood-soaked with the life of the innocents?” Tears must have streamed from their eyes at such a spectacle of carnage. What is sad is that the Native Americans of the plains were decimated as well. Like their brothers they paid the ultimate price for manifest destiny. 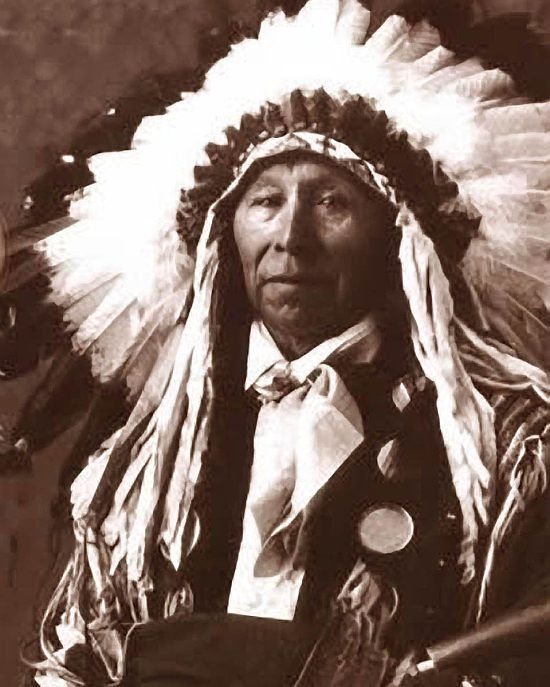 Chief Yellow Lark, a Chief of the Lakota Sioux, is credited with the following prayer. Based on what is known of this man of peace he wished most of all for all—both Native Americans and the white man—to live in peace. He wanted his people to enjoy their heritage and to remember what it was to be a true Lakota Sioux. Chief Yellow Lark saw much death and misery. He saw his way of life taken forcefully from his people.